MOSCOW (Sputnik) – Patrick Kamenka, a member of the French affiliate of the International Federation of Journalists (IFJ), told Sputnik on Wednesday that the recent French report on information manipulation that called for Russian media, specifically Sputnik and RT, to be deprived accreditation, was "dangerous." "I think this report is dangerous and worrying," Kamenka, a member of the French National Union of Journalists (SNJ-CGT), an affiliate of the IFJ, told Sputnik. The journalist added that the SNJ-CGT was preparing an analysis to denounce the report. The French report was met with criticism by Moscow. The Russian Foreign Ministry's spokeswoman, Maria Zakharova, has said the document includes multiple unfounded allegations against Moscow and gives rise to open hostility towards Russian media. Margarita Simonyan, the Sputnik editor-in-chief, noted that the report of French think tanks was "ridiculous" and hypocritical. A week ago, the French Foreign Ministry’s Center for Analysis, Planning and Strategy (CAPS) and the Defense Ministry’s Institute for Strategic Studies (IRSEM) issued a report called "Information Manipulation: a Challenge for Our Democracies." 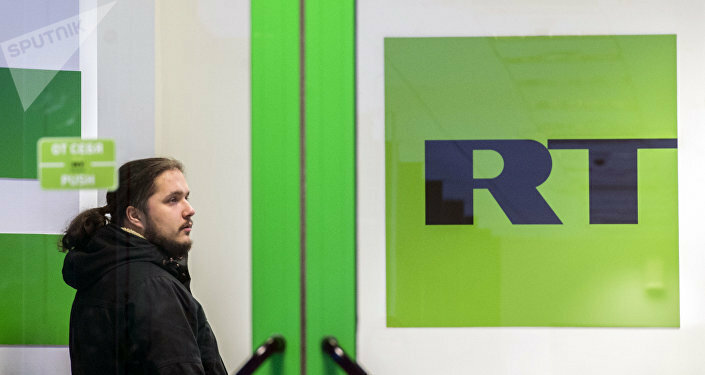 The document recommended that the country's authorities abstain from accrediting journalists from the RT broadcaster and Sputnik news agency.